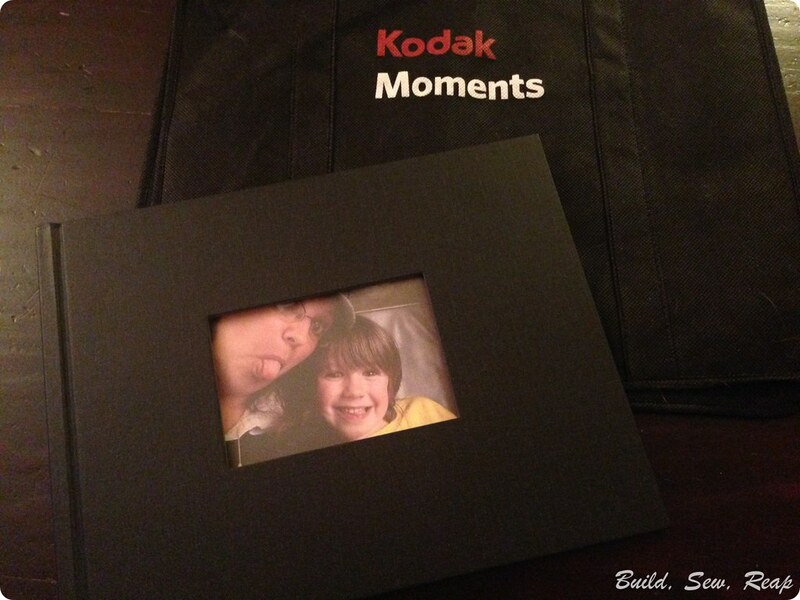 I received a product from Kodak Alaris in exchange for my review of the new KODAK Moments App but all opinions are my own. Are you like me in that you take hundreds, if not thousands of pictures on your phone but rarely print them out? When the big kid and I took a train ride from Seattle to Portland for an overnight adventure to celebrate his 7th birthday, I took a ton of pictures. I kept promising to make him a special album so he could look back on our weekend together whenever he wanted to but 5 months later, I still hadn't gotten to it. I just didn't feel like sitting at the computer, importing photos to some site, organizing those photos into an album then waiting for it to arrive. Well, the new KODAK Moments App (available for download the iTunes or GooglePlay stores) made short work of the whole task. 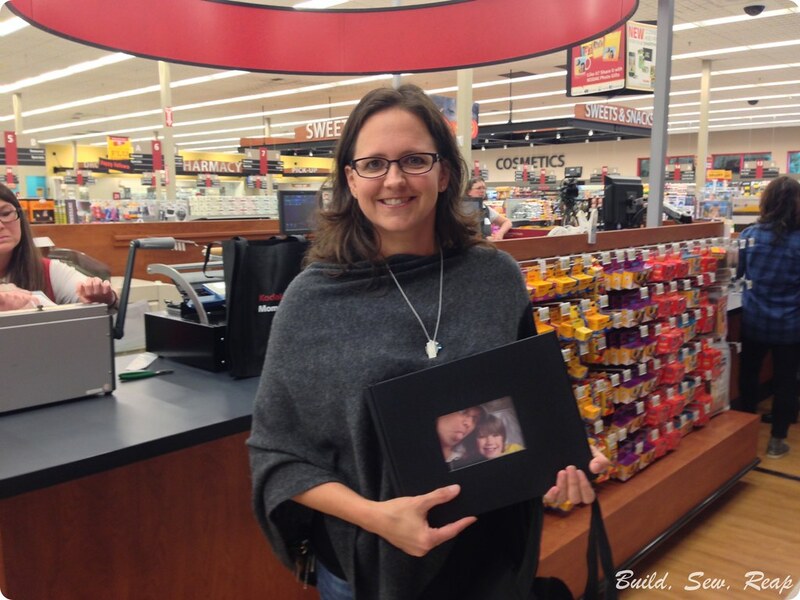 I was invited to attend a Kodak Alaris blogger event at a local Bartell Drug Store so they could introduce the new app to us and they let us create a memory book right there on site. 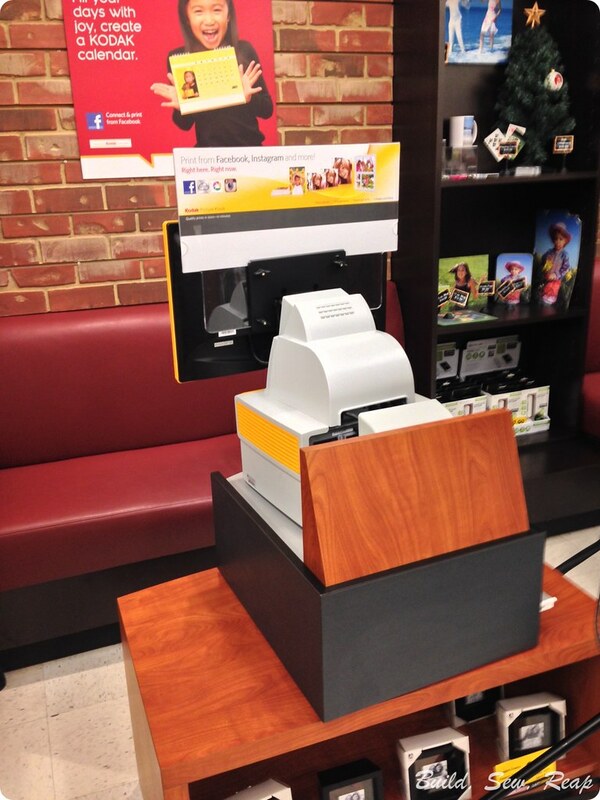 After a brief overview, we were released to test out the kiosks on site. I had created a designated album with my favorite photos from the trip in my smart phone so once I linked the app to the kiosk following the simple to follow instructions, the book pretty much created itself. I moved some pictures around but the whole process only took a few minutes before I was ready to send it to be printed. 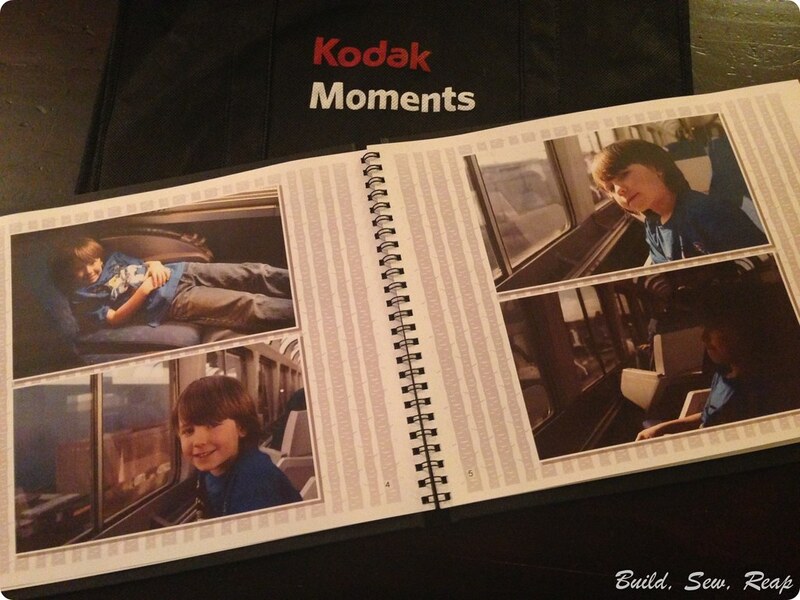 And the photos inside are showcased really nicely. 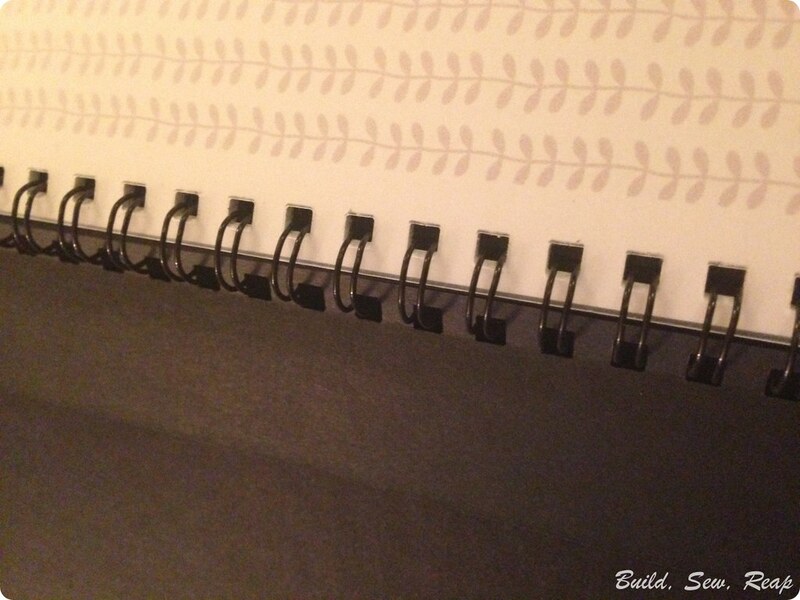 My mind was racing with all sorts of great ways I could use this app. I thought about how I could make an album for my parents after a visit so they could actually take photos with them as they head for their plane back home. I was quite happy with the results and the whole process was really quick, even though I was using it for the very first time. 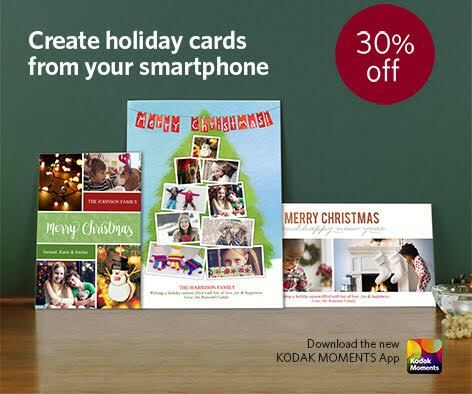 How would you use the Kodak Moments App with in store printing? Kodak has generously offered to give one of my readers 100 free Holiday Cards. Enter starting November 14 for your chance to win! Go check it out now and get 30% off! My favorite family photo memory wad me and my son, when i was a single mom, at Ocean Shores for Mother's Day. My son was 3 and everything was full of wonder. I tried to set the timer and get a pic of us on the ocean's edge but instead I'm at the ocean's edge and kiddo is running toward the camera. I have great memories of vacations with my family.